I love how intense the greens get after it rains. 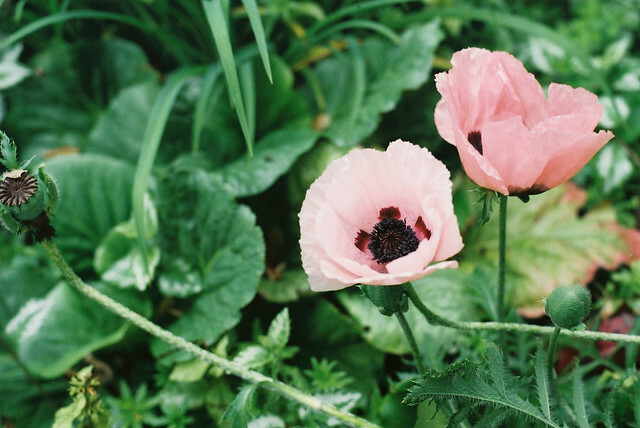 Blush-coloured poppies are some of my favourite flowers. 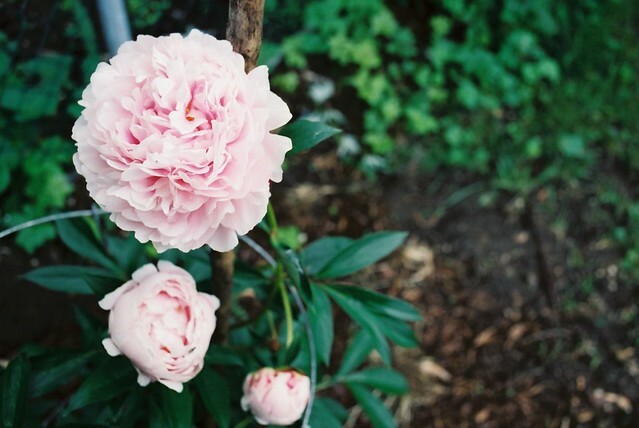 I thought it was finally time to have a peony of my own, so a month ago I bought a Sarah Bernhardt peony that had about five tightly-closed buds on it and planted it in the yard. It has sprouted two large blooms, as well as one that has been snipped and placed on the mantel. It smells incredible. Yesterday while I was at the gym Geoff texted me a photo of Pony sniffing it, which I promptly posted to Instagram. The pictures below were taken as it bloomed. It was very exciting for this non-gardener to see the perfect, ballet pink petals unfurl (admittedly, it has required virtually no care at all). 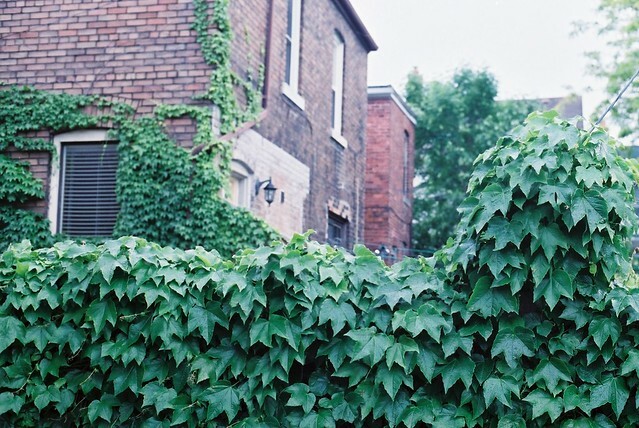 More green film photos here, in a guest post. SO beautiful. I am in love with all the green here in Portland too. It feels magical after a long winter. Agreed! Just such a deep emerald green, almost. I love it. A beautiful parade of pink. Poppies is the favorite! love these shots of your neighborhood. glad it's exploding in such lovely ways. It's actually a bit of a driving/biking hazard! I get distracted. Oh, yes, that's sad... When I get a bouquet (they're usually expensive here too) I take so many pictures of it. Beautiful!!! I finally planted my first peony too, so easy and rewarding! Congratulations on your first peony plant! And yes, why are greens so vibrant after the rain?? We need to ask a scientist. Haha. Thank you! They are divine. Like paper! So, your pictures look heavenly. Oh, I'm sorry to hear that. I hope you get some rain soon. These are so beautiful. 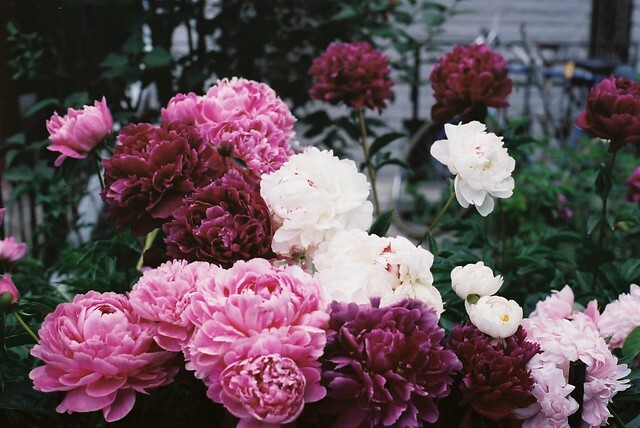 Peonies are my favourite thing in the world when it comes to flowers. So beautiful, I love them! Thank you, and yes, they are so beautiful! Oh god, I love peonies. 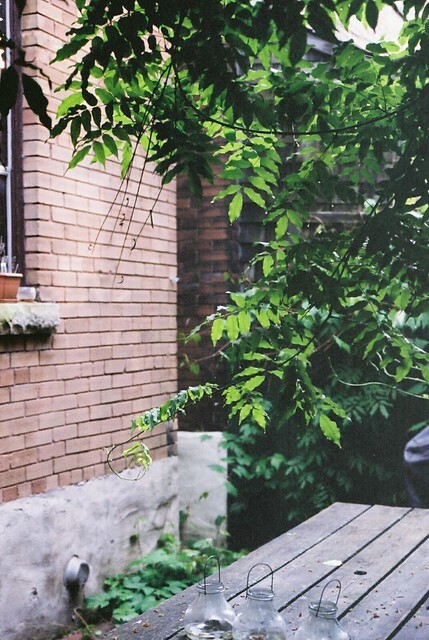 Your lovely photos are making me green with envy (pun intended) over your beautiful blooms. These flowers are incredible! Peonies are my absolute favorite flowers. They are definitely up there for me. Such a happy time when they pop out. I'm glad you like that poppy. I just love them -- when they catch the light in them, it's a beautiful thing. 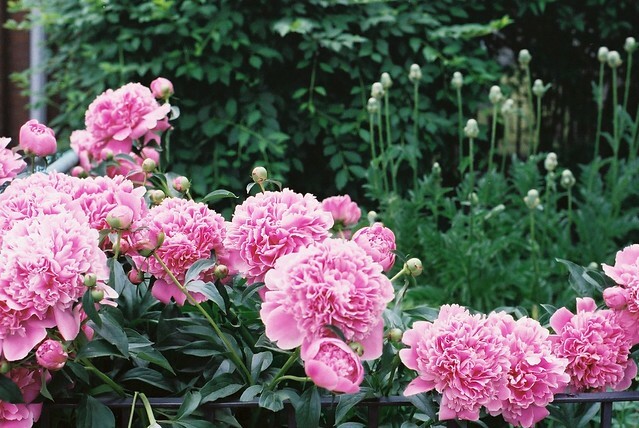 These really are the most beautiful peonies! Good job! Thank you! It's nice that they're so easy to grow. These flowers are so beautiful. And yes..the green is divine. Ha! Glad you thought so. Thanks. Lovely. I'm glad to hear that peonies are easy to maintain. 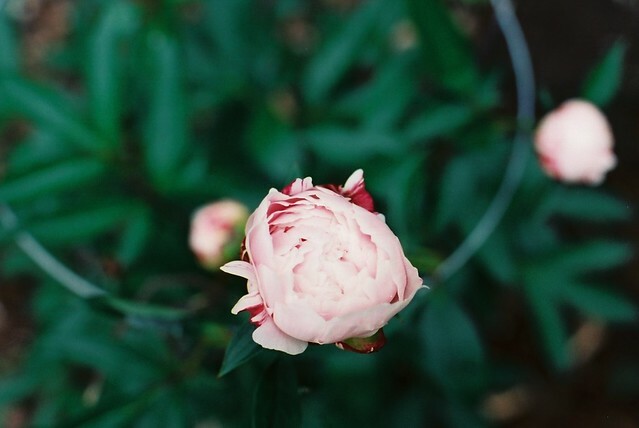 This post has inspired me to seek out a peony plant for my balcony garden. 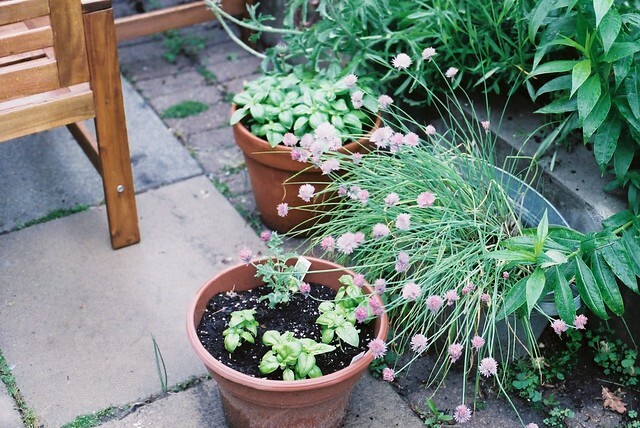 I noticed the potted basil. I'm all about my fresh basil, which is also easy to keep alive. Oooh, good luck! I know, fresh basil makes any meal taste so much better. I love it. Never seen a pink poppy before. Beautiful! 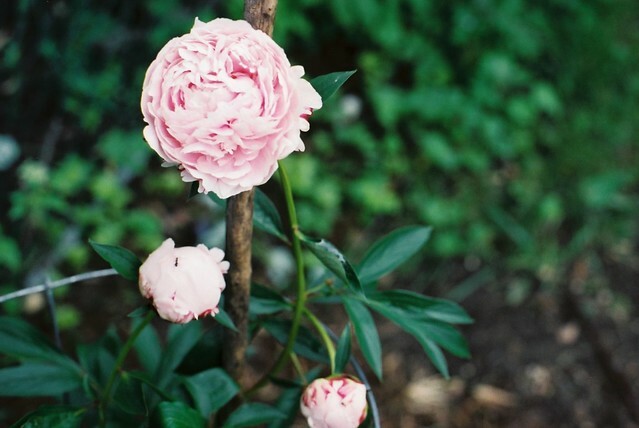 Also, I know peonies are the darling of the blog world, but you're making me want one of my very own! Congrats on getting some blooms! I know, I saw so many peonies on Instagram that I thought for sure no one would care to see mine, ha. The pink poppies are the best. Our neighbour had some in her yard and they made me into a peepin' tom from my kitchen window. They're gone now, sadly. Ooh, that's the best. Enjoy! Thank you! They sure are lovely. Thank you! 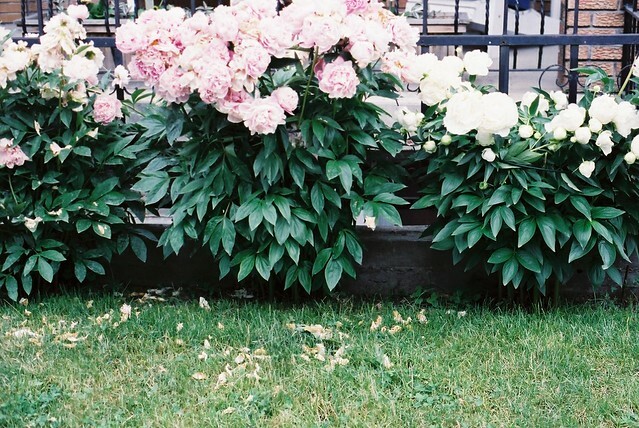 I loved coming across that garden with peonies in almost every colour imaginable. So pretty. looooove these. omg. how did i miss this post?! the multi-coloured blooms shot is my favourite...so lovely!